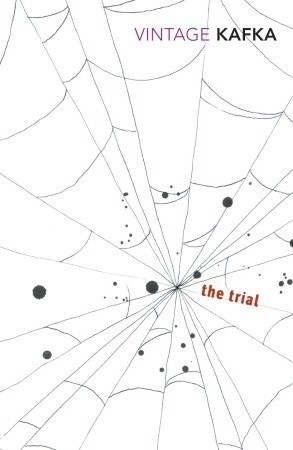 Welcome to The Trial by Franz Kafka, where the world is a series of confusing systems which are almost impossible to navigate through without losing your mind or being crushed by the futility of it all. There’s something humorous about the absurdity here though, as farcical characters scramble around and appear to have no idea what they’re doing (which is normally making someone else’s life worse through sheer incompetence); this is comedy in its blackest shade. The line between despair and ridiculousness to the point of hilarity is a tightrope that Kafka never quite lets you climb down from. There’s an overwhelming sense of tension, but I would struggle to point to exactly where it comes from. I normally take at least a few breaks while reading even a book as short as The Trial, but I finished it quickly as I wanted the sense of impending doom to bloody end already! In a good way. Sort of. I’m glad I read it, anyway. It’s not often a novel can distil desperation into its purest form, after all. It was like a good thriller, but one where you’re propelled forward by a sense of incredulousness and disorientation. Very unusual, very effective. A messy book by design, even if you you’re the kind of person who has a real thing for Camus and thus keep alternating between a look of frustration and laughing hard, don’t go in expecting a traditionally satisfying ending. If you let yourself get swept up, though, you’ll put it down and feel like the annoyances of everyday adult life make just the slightest bit more sense.